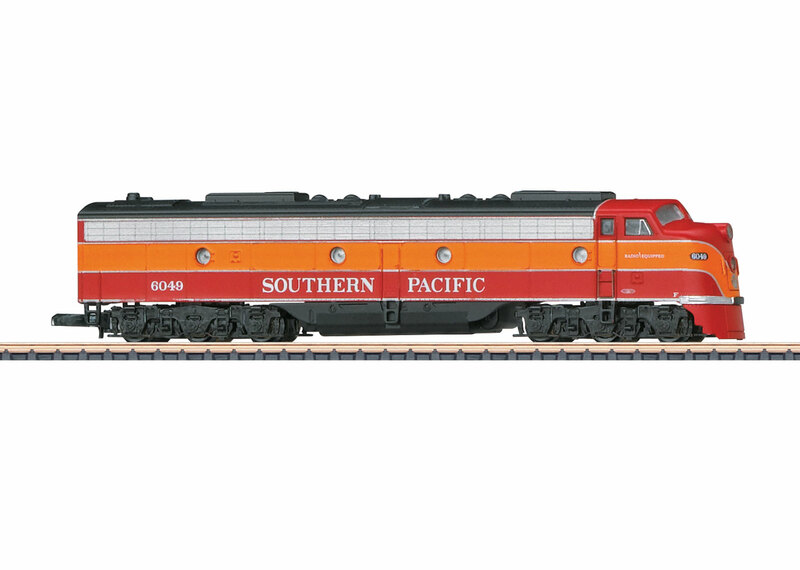 Prototype: General Motors EMD class E 9 six-axle A unit painted and lettered for Southern Pacific. Model: The locomotive is completely new tooling. It has a new powerful motor. 2 axles powered on each truck. Traction tires for high pulling power. Warm white LEDs are used for the headlights. The locomotive is finely detailed and has extensive, prototypical paintwork and lettering. It also has the Märklin system coupler front and rear. Road number 6049. Length approximately 96 mm / 3-3/4".